Exquisitely hand etched from durable rosewood, one of the finest richly hued timbers available. It has the ability to extend its length to accommodate a growing book or CD collections and can easily be folded away when not being used. 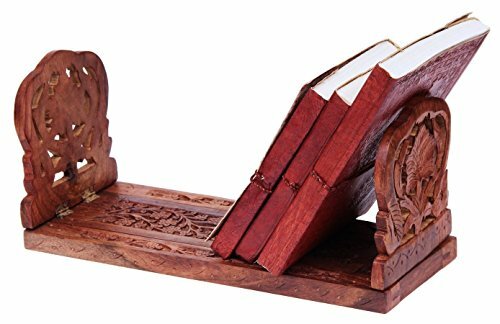 Detailed floral carvings allow this stand to be a perfect display curio on any bookshelf or mantelpiece. Wonderful gifting option too! Hand crafted by skilled artisans from Saharanpur - India's largest hub for high quality wooden artifacts.